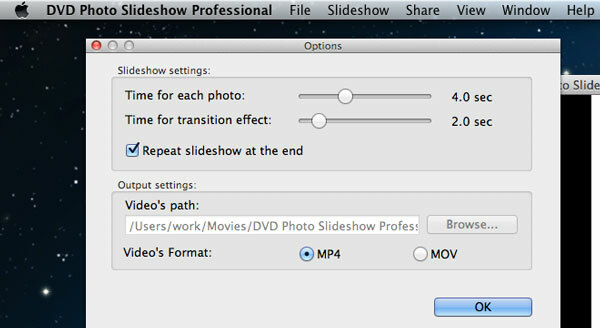 "Hi, I am using a Mac and I have the DVD Photo Slideshow Professional. I have made a slide show which works well on the TV and would like to transfer it to my iPad so that I can show it. Is there a way for me to do that." This customer wondered how he could create a slide show movie for playing on his iPad using DVD Photo Slideshow. Actually it can be easily done with this slideshow maker. First, you just add your favorite photos and one or several songs to the project to generate a slide show. 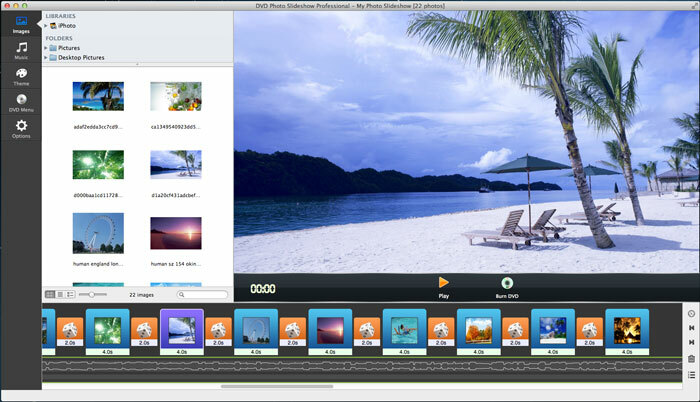 Then you can personalize the slideshow with transitions, theme, text, speech bubbles, Pan and Zoom effects, etc. When the slideshow is all right, encode it into a video file. And then you can transfer the generated video file to your iPad with the sync of iTunes. Now let me show you the whole process. 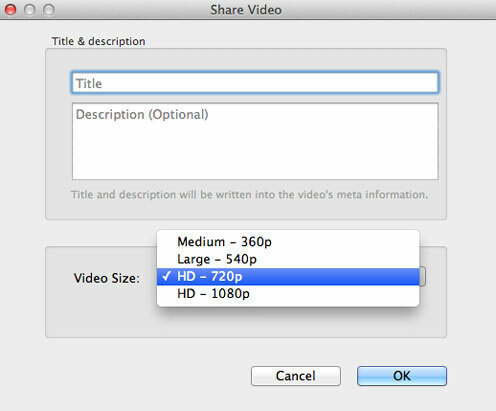 To transfer the slideshow video to iPad, simply choose MP4 as the output format. When the encoding is done, you can get the output slideshow video in the output folder specified in Step 4. Then connect your iPad with your Mac via a USB cable, launch iTunes, add the slideshow video file to the library and get it transferred to the iPad. To create slideshow video for playing on iPad, there is a even easier and more direct way. That is, download and install the iPad app named Photo Slideshow Director HD Pro. This app lets you use your iPad to organize your digital photos from Camera Roll, Instagram, Dropbox, Microsoft SkyDrive, Picasa web albums, Facebook photo albums, Flickr photo sets and create eye-catching slideshow in minutes. 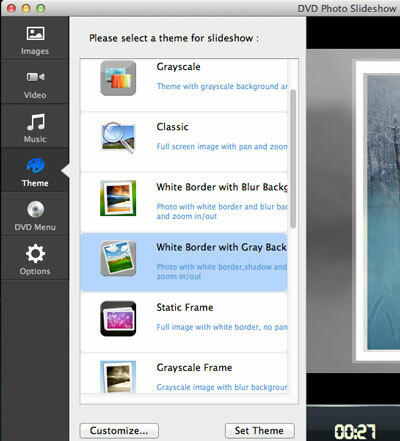 You can easily turn the photos into dynamic slideshow movie with background music, transitions, theme, effects, texts, subtitles, and more. Photo Slideshow Director HD Pro is available on the iTunes App Store.